>> Affirmative! Here Are Top 5 Best Walkie Talkies For Kids Your Family Will Enjoy! Most of us have probably played with walkie talkies as children, and we know how exciting it is to be able to talk to our friends over a toy phone. If you also want your children to experience the same, then you should know what the best walkie talkies for kids are. Affirmative! 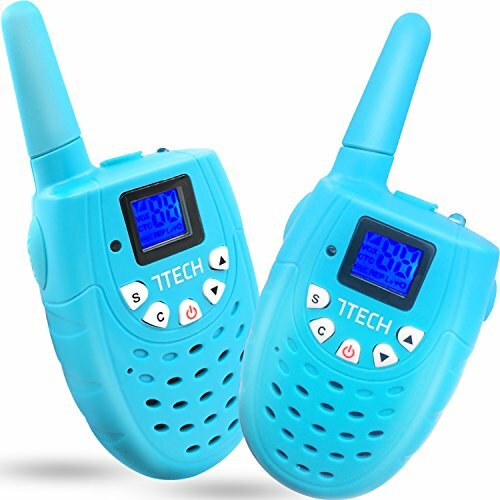 Here Are The Best Walkie Talkies For Kids Your Family Will Enjoy! The 7TECH Kids Walkie Talkie is one of the most fashionable models around. Instead of the regular flat bottom, this walkie talkie has a curved one, giving it its attractive look whether it’s held on the hand or clipped to the waist. It’s a very powerful walkie talkie with 22 channels and a range of up to 5 km. Simple to use, it lets you talk by pressing the PTT key. It features a tiny backlit LCD display, too, that shows the current frequency and the battery status indicator. Speaking of battery, this model requires three AAA batteries per unit and lasts up to 3.5 hours in continuous use. It’s very user-friendly and is excellent even for very young children. It’s very sturdy and able to withstand harsh conditions. It’s just the right size for any child’s small hands. The buttons seem too small, and the talk button may be difficult for smaller children to depress fully. This pair of walkie talkies is not called “Little Pretender” for nothing. It’s loaded will cool features that you’ll find in an actual two-way radio. For one, it’s compatible with a full-featured FRS radio and even comes with a “roger beep” that goes off after each transmission. It features three channels and has a 2-mile range, allowing your kids long distance play outdoors. It comes with a bright LCD display, too, plus a call alert function and a built-in flashlight. With its clear voice technology, you can expect it to deliver crystal clear sound every time. Finally, for your children’s safety, this model offers a pre-set privacy code. For a child’s gadget, this model looks like a standard two-way radio. Changing the channels on this unit is not complicated at all. It’s very user-friendly and practical to use in the entire household. The pre-set privacy code isn't really private; other users on the same channel could still hear you. KarviPack delivers well with its walkie talkie for kids. 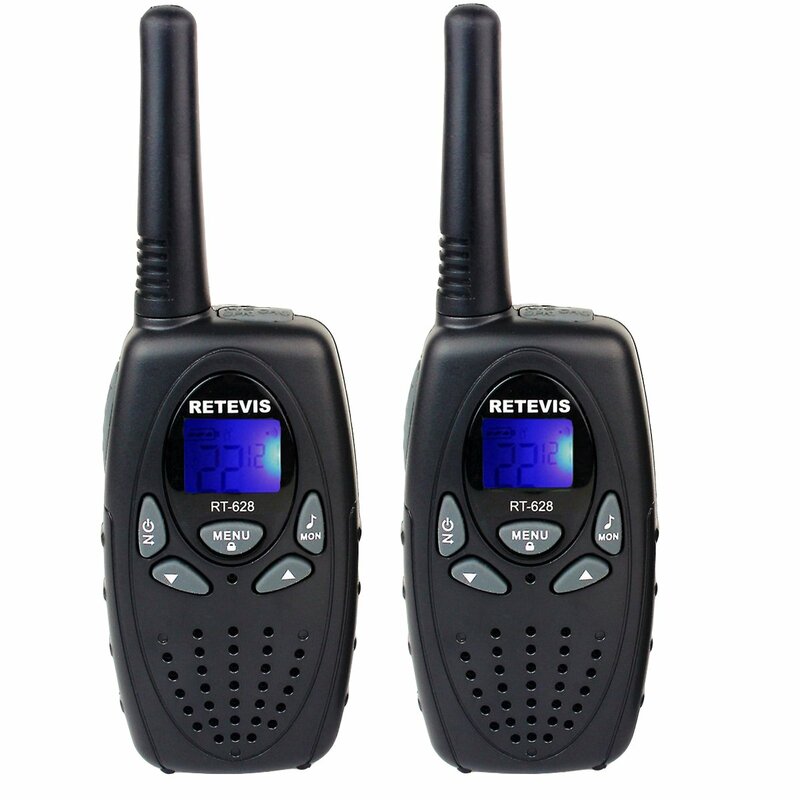 Built for the entire family, this model is a small and fashionable user-friendly walkie talkie with 22 channels. It has a minimum range of 3 miles and offers a smooth and crisp sound quality even when there’s a lot of background noise. It also comes with a backlit LCD display, a battery status indicator, plus, a clip on belt holder. With only a few buttons, this unit is easy to operate. You can use regular AAA batteries on this one, but rechargeable batteries are recommended, especially since it comes with a USB port where you can charge the phone through. Your kids won’t hesitate to carry this thing around because of its modern compact design! The range and quality of sound are exceptional. It’s easy to find and match channels with this model. The standard battery and rechargeable battery options make this walkie talkie very convenient to use. Younger kids may find this a bit complicated to operate. The RT628 by Retevis offers multiple features that will surely impress any user. It has 22 GMRS and FRS channels and could reach a range of up to 8,000 feet. Kids can be inquisitive at times, so to keep them from changing the settings, this model lets you lock the keypad. The RT628 also supports Voice Operating Exchange or VOX and lets you communicate with your children hands-free. This is an ideal feature for small kids who find the unit a bit complicated to operate. And with its rugged design, you can have the peace of mind that it’s not going to break easily in case your child accidentally drops it. This unit does have excellent range. The VOX function makes things really convenient for this unit. This model looks very realistic and doesn’t look and feel flimsy at all. It doesn’t come with rechargeable batteries. 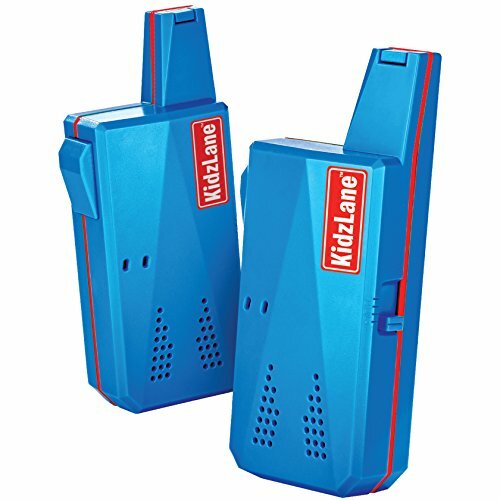 Despite its kiddie look and boxy design, the Kidzlane walkie talkie is actually fully-functional two-way radio for children. It’s one of the most preferred walkie talkies today because of its playful design, its durability, and the number of useful features it offers. With three different channel operations, this unit will let your kids enjoy some kid spy missions with their friends. The 2-mile range it offers will also ensure non-stop fun for your children. Perhaps what’s unique about this model is that it doesn’t resemble a conventional walkie talkie at all. If you ask me, it’s more of a communications device straight from the future! It’s very simple to use and is an excellent way to teach kids about wireless communication. Despite being made of light plastic material, this walkie talkie is very durable. This is a cool-looking device and something your kids will surely enjoy playing with and showing off to their friends. It doesn’t have a volume control. Based on the criteria we set, it seems clear that the Retevis RT628 Kids Walkie Talkie is the winner for this category. We loved the fact that it’s very simple to use and yet has all the functions you would look for in an actual walkie talkie. For instance, it offers 22 different channels, which is already a plus for us, since we mentioned how limited channels increase the risk of strangers joining your kids’ conversation. The excellent range of this model also helped it get our vote. Walkie talkies don’t really work that well at their farthest range, but the RT628 seems to deliver crystal clear sound even at far distances. The sound might break up here and there, but for a kiddie radio, its range is already very impressive. READ When Do Babies Sit Up From Lying Down? Know the Magic Number! And to make sure kids don’t change the channel and the settings, the unit also features a channel lock function. Perhaps the best feature this model has to offer is its Voice Activation or VOX function, which lets users communicate hands-free. This feature is ideal for young children who may still find using the device a bit complicated. What Can Your Kids Do With Walkie Talkies? 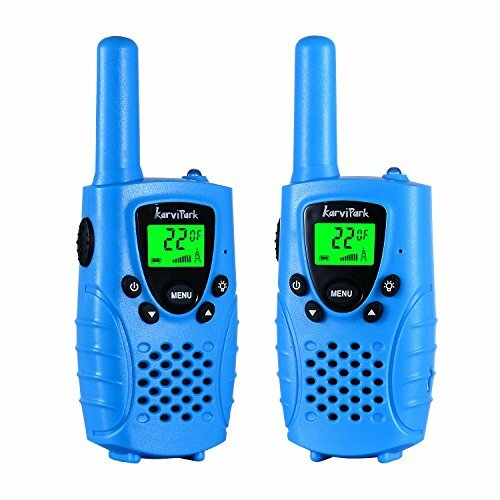 Contrary to what many people think, walkie talkies aren’t only for when children pretend play with their siblings or friends. There is more to this bit of technology than just a piece of toy. 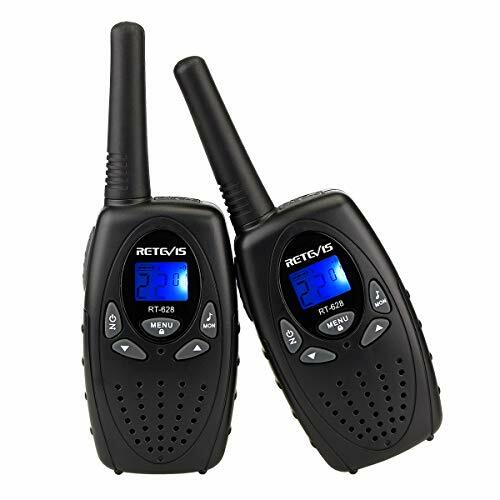 Properly known as a two-way radio, a walkie talkie can be used for safety and practical purposes. They are excellent when you are traveling in areas where there is poor or no mobile phone reception at all. They are also the best communication tools for children who don’t need a cell phone yet. Here are top ways your kids can take advantage of a walkie talkie. Outdoor activities such as hiking sometimes require you to split into several groups, especially when there is more than one family involved. During such activities, it’s important that the small kids have a way to communicate with you in case they get lost on the trails. Walkie talkies can help them keep in touch with older members of the group and make it easier for them to be found. It’s also important for kids to be able to communicate with the adults and with their fellow children when camping. Walkie talkies are able to give them the freedom to explore the campgrounds in small groups with the fear of getting lost. Sometimes, the family may attend big events such as festivals and concerts, or even visit theme parks. Having a walkie talkie will allow a younger child to inform his companions of his whereabouts in case he gets separated from the group. During road trips with other families, we may travel with a couple of other cars. Having a walkie talkie in every car makes communication a lot more convenient. 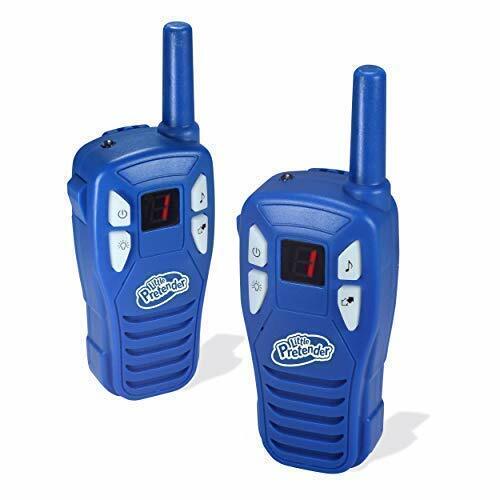 Walkie talkies are an excellent way to make things easier at home, especially if you have a large house. When you need to get something upstairs, for instance, you can just talk on the radio with your kids instead of getting it yourself. Watch how a small device could bring so much joy! It’s hard to think of all the necessary features you need when you’re already at the moment of buying a walkie talkie. For that reason, we went ahead and compiled some of the features you should keep in consideration when shopping for walkie talkies for your kids. Older models of two-way radios use batteries, while newer ones are rechargeable. The advantage of using batteries is that you won’t have to carry around a charging cable and station when you’re traveling. The downside to it, though, is that you’ll need to have a lot of spare batteries at home. Rechargeable walkie talkies, on the other hand, eliminates the need of buying new batteries every time you run out of them. They’re also the more convenient option when you’re getting more than two units. Depending on how your kids are going to use it, you would like to get a model that has at least a 3-mile range. This should be a big deal if they’re only using it at home, but it would be useful to have something you can communicate with at long distances when outdoors. Privacy is an important concern when you’re dealing with walkie talkies at home. You don’t want strangers being able to communicate with your kids on the same frequency. This usually happens with units with only a few channels. If you’re concerned about the privacy and safety of your children, consider the number of channels the device is capable of transmitting through several channels. Make sure the unit offers a privacy code, too, or at least some way to lock the channels, so your kids don’t accidentally change them. Most kids these days don’t have any trouble learning new technology, but it would still make sense to find a walkie talkie that’s user-friendly. Younger children, in particular, need something that they can operate with the click of just a few buttons. A headset allows hands-free operation of the walkie talkies. This is a convenient add-on because it lets you communicate without having to remove the device from your belt or pocket. Many old-school walkie talkies don’t have lit screens. If you want your kids to be able to use their units even when it’s dark, find a model with a lit display. This feature allows you to communicate to just one person at a time. Kids may not need this, but parents will find it useful when they need to communicate without the kids hearing. This is an important consideration since we’re talking about kids. Choose a model that your kids will find easy to carry for long periods. There’s really very little way for you to determine whether a unit is durable or not until you’ve tried it, but there are a few things that should give you an idea what to buy. Some models, for instance, are labeled as ‘waterproof’ or ‘shockproof’. They may be more expensive than regular ones, but you can expect them to withstand extreme conditions a lot better. "So, what do you think about our pick of walkie talkie for kids? Do you think we made the right choice? Let us know your thoughts by dropping your ideas in the comments section below. And don’t forget to spread the word by sharing this article with your friends and loved ones. Thank you!"